Cydr Chyliczki is a family-owned cidery based in Mazovian district. Dominika Krenke, her father Dariusz Koroś and their business partner Piotr Kowalczyk is the trio which stands behind the brand’s success. 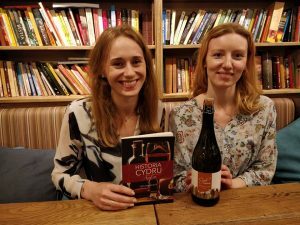 We had an opportunity to talk with Dominika Krenke who told us about their ciders. Rita: What were the beginnings of the company and where did the idea for cider come from? Dominika: The idea of starting a cider business was born several years ago. Dariusz had experience in the wine and horticulture industry, besides he made grape and fruit wines, meads and tinctures. I have always been very eager to take part in home productions and look at it. Our passion, interest and professional experience have resulted in the start of cider production. Apples have been produced in Poland for many years but have not been processed into alcoholic beverages, as it happens in England or France. Therefore, both cider traditions and the relevant provisions allowing the production of cider were missing. With the entry into force of the so-called The Wine Act from 2011 appeared the first appropriate legal regulations, and thus the possibility of launching small-scale cider production. From the very beginning, we assumed the production of high-quality cider. Which product are you most proud of? We try to make the best cider in various categories: sparkling cider, still or ice cider. One of the most important departments of our company is the cider laboratory in which we create and test new recipes. It is very difficult for us to indicate a product that we would be most proud of. During these few years of our work, many interesting ciders were created which won prizes at international cider competitions: Stary Sad Premium Cider or Ice Cider. Every year we try to create something new and actually have one favourite in every single year. This year we are the proudest of the sweet cider Sweet Oak which matured in distilled oak barrels. Thanks to this Sweet Oak has obtained incredibly sweet aromas of vanilla and spices. Another interesting cider is the Ice Perry, or Pear Ice Cider, very difficult to make, the only cider of this type in Poland and rarely found in the world. Why did you decide to make ice cider? Ice cider is quite a challenge but we like to experiment and create new drinks. It is a sweet cider, in which you need to maintain the right balance between sweetness and acidity. Since we only use apple juice for the production of ice cider, it is very important to choose varieties with the right content of natural sugars and acids. Ice cider likes ageing, after 2-3 years is much better and more aromatic than in the first year. The characteristic aromas of ice cider are baked apples which make this liquor one of its kind. What feedback do you have from customers? What do they like? Customers have very different preferences. Some customers choose our stronger proposals, or ice ciders, or apple wine. The others, especially in the summer season, choose classic ciders that perfectly quench your thirst. 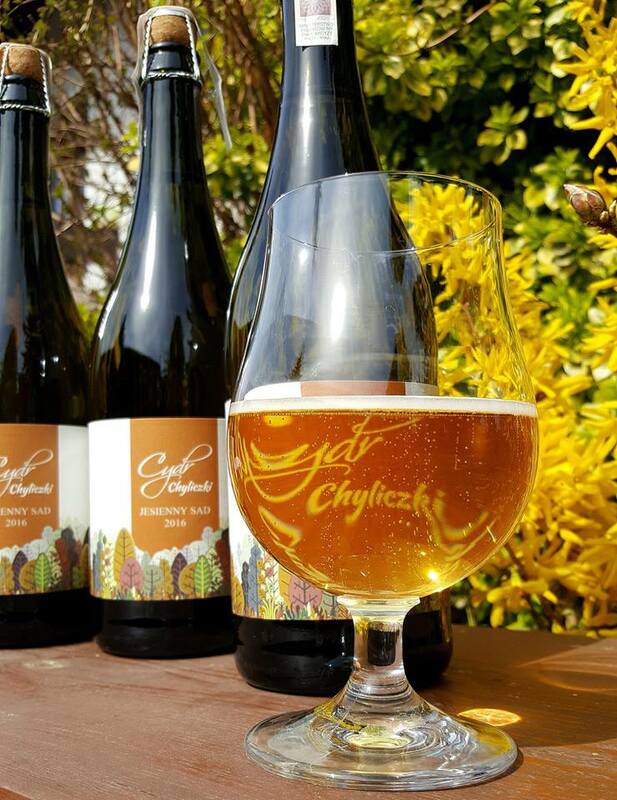 How will the Polish cider market develop in the coming years? It depends on the market segment. Industrial ciders have probably reached their maximum sales, while the cider market in which we operate will continue to grow. More and more customers are looking for quality cider proposals, mainly in specialist beer stores. This is not a spectacular and rapid development but there are more customers who are interested in craft ciders, as well as craft beers. Do you plan to expand abroad? For now, we are not planning to sell ciders in other countries because we would like to focus on the local market. Our small production should rather sell in Poland, although we see the interest of potential customers from abroad. It is very important that local ciders are best combined with local cuisine, just like with wines and dishes from wine regions. Where can you buy your cider? Our ciders most often appear in well-stocked beer shops and some good restaurants. More and more often you can also find our ciders on the shelves of wine shops because customers are more and more interested in local good food products. We also noticed that tourists from other countries are interested in more Polish cider, so I think that craft ciders can become a Polish speciality.